Congratulations to everyone doing Nanowrimo! 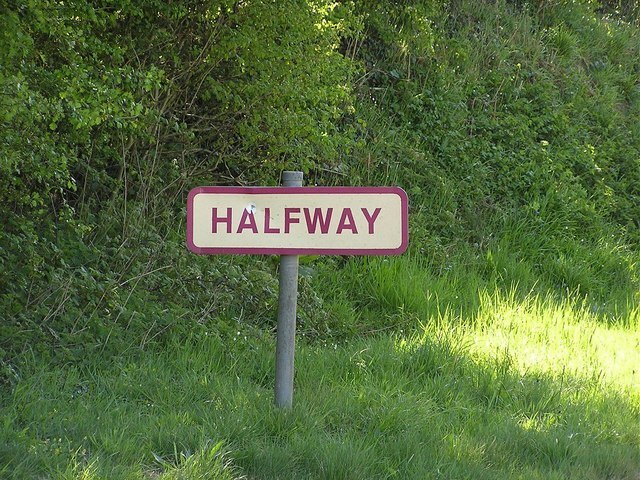 We made it to the halfway point. As everyone who has been watching the blog knows, I’ve mostly been posting chapters from my current Nanowrimo effort. I’m torn about whether I should continue or if it’s just distracting. Please feel free to comment and chime in. 1) Outline – make sure I know where I’m going. I write much faster when I don’t have to think about what to write. 2) Go Back – I know, this is anathema to Nanowrimo, but sometimes, it helps me with my word count and my focus to go back and add a description to a chapter or flesh out or even add a scene. 3) Commit to 1,667 words a day – Basically, I make sure that I will not fall any further behind. I’ll write at lunch. I’ll write in an email and send it to myself. I’ll take full advantage of everything that modern technology has given us. 4) Get some sleep – This may sound counterproductive, but Nanowrimo is a long race. Without sleep, I’m not as creative and it doesn’t work as well. 5) Ask for feedback and/or encouragement – It is amazing how much a support group can do for you. 6) Go out of order – A good friend of mine, author Wayland Smith, once told me, “Write what inpsires you.” If you have a scene in your head, go and write it even if it’s not time for it. We are writing 50,000 words, but there’s going to be a lot of work to turn this into a finished product. 7) Finally, don’t worry about the word count. Just write and have fun. If you get into your story, words will take care of themselves. When most people find out that I’m a published author, they are usually surprised. The reactions range from “Oh, I know someone who self-published something too” to “Wow, if you’re an author, why do you still come to work?” After a while, most tell me how impressed they are that I manage to find the time. I often get to share stories with them about their dreams, and I do my best to encourage them. Of course, just because I write doesn’t mean it’s easy. I’m an overweight guy in his forties with a kid, a wonderful wife and a mortgage. I have a full time job (which I happen to like), but I struggle with bills and wish I kept up with my lawn better. I’m tired when I get home from work. I want to watch the Voice, the Big Bang Theory, the Walking Dead, etc. I wish sometimes that I played an MMORPG or that I was good enough at shooting games to offer to play Call of Duty with the guys at work. I have a long list of things that need fixing around the house. If I just gave up writing, I’d have a lot more time and could join in a whole lot more conversations about what’s on tv at night. However, I can’t give up writing. It’s my dream. Sure, I’d love to go and see a movie one day based on a book that I wrote. I’m pretty sure that will never happen, but I can’t let the thought go. I wanted to be a writer since I read my first comic books, like Incredible Hulk #200, Captain America and the Falcon #199, and Iron Man #89 (all vol. 1 just to date myself). I found a journal in 8th grade where I wrote that I wanted to be a writer when I grew up. I still remember my grandfather, who I call Captain Heckel, giving me a copy of Beowulf. It’s what I wanted to do ever since I discovered books. I want to write Lord of the Rings. I want to make other people happy, to inspire them, to lift spirits, to somehow improve the world a little bit. I feel called to do it. It’s one of the reasons that I’m here. I’ve quit writing before, a couple of times in fact, but I can’t stay away. Story ideas live in my head. I imagine scenarios and characters. I could fill this blog with novel titles that have yet to be written, and I’m sure the list will be longer in a year. It’s my dream, and it fills me with hope. I know that if I should be fortunate enough to live to a ripe old age that if my grandchildren or great-grandchildren ask me if I ever had any dreams, I’ll be able to say yes. If they want to know if I tried to pursue them, I’ll say I did. Success or failure, I’ll know that I tried. I’ve always believed that if you try your best, no one came blame you if you don’t succeed. I hope that everyone who reads this finds a way to pursue their own dream. If it’s writing, fantastic. If it’s painting miniatures, great. If it’s growing the roses that everyone on your street talks about or being the sort of fan of your local college team that everyone respects, wonderful. Dreams don’t have to be pursued full-time and even doing a little bit can make a difference. Just make sure that whatever it is that it makes you happy. Okay, I’ve rambled a bit. Hopefully, I’ll have some time to write more blog posts. I’ll put another Freedom Squad Nanowrimo up tomorrow. As the countdown continues to November 1st, I’m doing my best to get ready for novel-writing. For me, there are a couple of steps that I will be taking to make sure this year starts out well. Love an idea and outline it – I want to have an idea and usually I have two or three on that last day. I like having two in case I suddenly have cold feet about the one I decided to do. I’ll do some preliminary research on locations or any trivial facts that I need to get the first day off to a fantastic start. In order to write 50,000 words, I really want to make sure that I love the concept and that I have a basic outline written out. The outline might get thrown out after day 1, but it helps me to have a plan so I don’t run out of momentum. I need to make sure that I love the idea because at some point when I’m trying to write 50K in one month, I’m going to hate trying to write this book. I need to love the novel enough to get over my lack of desire to sit at the computer and type. 50,000 words is a lot of writing. Noveling Supplies – A good friend of mine asked me if I had enough caffeine ready for November. It was a valid point. Personally, if you are going to stay up too late increasing your word count, I recommend water and fruit juices as opposed to soda or energy drinks. Coffee and tea work in moderation, but over-caffination (sp?- yes, I know but it should be a word) tends to run me down in the long term. Nanowrimo is a marathon, not a sprint. My writing mentor once told me that you won’t fall asleep if you have to go to the bathroom so drink lots of water. Hydration also keeps the brain working. There’s nothing wrong with a favorite snack as well, and I like to have a notepad around. Writing on paper can change my mindset and help me get through sticky plot issues. Besides, my eyes get tired staring at computer monitors. Sleep – Of all the things I’ve listed, this is the most important. Just about everyone writes better when they’ve had more sleep. It doesn’t always feel that way, but trust me, sleep is essential. I try to get extra sleep if I can before November 1st, and I almost always take a nap after trick or treating to brace myself for midnight. There is a lot of good advice out there for potential novelists. Take a look, see what you find, and decide what works for you! Here’s a draft of the first section of my story in HeroNet Files. Enjoy! Trapped in an underground cavern, the hero Orion struggled to free himself from the arcane bonds pinning him against an obsidian monolith. He strained both his muscles and his mind, as his psychic powers tried to unravel the evil magic that held him captive. He didn’t have much time. His archenemy, Doctor Inferno, had already completed the first part of his unholy ritual. The super-villain paused from his castings and floated over to regard his black-clad caped nemesis. When they had first met, Orion’s hair had been as dark as his uniform, but now, it was as white as the starry constellation pattern on his chest. Of course, Inferno had not changed, at least in appearance. He still wore his tattered purple robes and his skeletal features remained wreathed in hellfire. So many years they had fought, but now, it would come to an end. Despite himself, Doctor Inferno was determined to explain to Orion how he had finally won. He wanted to savor this victory. At that moment, a twisting tunnel of light formed in the center of the ritual circle. Four figures in costume landed on the stone, ready for action. “New Citadel, attack!” shouted one of the figures. He wore a black costume with yellow flame designs on his gloves and boots and a yellow exploding star symbol on his chest. He threw his cape back behind him with a flourish and ignited a brilliant golden energy blade which reflected off the mirror shades that he wore even in the darkened cavern. “I was planning on it, Nightstar. Let’s see how Doctor Inferno handles his balance being disrupted,” said a young woman with a domino mask wearing a unitard covered in kaleidoscope of colors. Without waiting for Blazar, Spira soared toward the roof of the cave and pointed her hands at Doctor Inferno. The air rippled around the super-villain. “Foolish child, do you think that you can disturb the sense of balance of one who has traveled realms beyond your ability to comprehend?” said Doctor Inferno. He responded to her attack with a bolt of flame. A crackling field of electricity formed around her, diverting the fire. Spira looked first at Orion, then around the cavern. She was as surprised as Doctor Inferno. “Where did that come from?” she whispered, even as she used her flight to dodge another flame blast. While Dr. Inferno focused on Spira, the living nuclear android, Blazar, unleashed his fusion bolts with a roar. However, as they reached their target, a glowing mystical shield deflected them. Realizing the potential danger to his teammates, he activated his control rods to absorb the radioactive blasts into himself. He would be able to fire again in 52.17 seconds, but he calculated a 70% chance that he would be too late to determine the outcome of the battle. Clone, the man able to be in two places at once, divided and sent his second self, Clone 2, over to Orion, using his genetically enhanced reflexes to leap across the pools of magma, while his first self, Clone 1, moved underneath Spira in hopes of catching her if she fell out of the air. Before Clone 2 could reach Orion, a rocky humanoid erupted out of the ground between him and the world’s most powerful psionic hero. “My rock elementals should easily thwart any chance you have of saving Orion,” laughed Doctor Inferno. With a deep rumble, two more rock elementals rose from the ground to join the first. “Nightstar, we have a problem,” said Clone 2 as he prepared to dodge giant stone fists. There was no answer. Orion was gone. Only the mystical bindings remained. Nightstar spun his sword and seemed to cut a hole in reality which he stepped through, only to step out where Orion had been a mere moment before. He stood defensively in front of the obsidian monolith. Doctor Inferno now knew what was happening. Orion was invisible. 1.03 seconds to power, thought Blazar as his systems shut down. Frost covered his body. Ice encased Spira, and she fell toward Clone 1. Perhaps by reflex, Clone 2 summoned his other self, before Spira’s ice block smashed him. Nightstar became a frosted statue and the outlines of another figure in gray and black armor appeared beside him, with one hand touching Orion’s chest in an attempt to share an invisibility field. Only Orion remained untouched, just as Inferno had wanted. “It is over,” pronounced Doctor Inferno. “The Eternal Darkness is here. I can sense it. I now call it to me!” He raised his hands and more flames erupted from his skeletal fingertips. Suddenly, Nightstar appeared in the air beside Doctor Inferno, no longer frozen. Before he fell, the young hero struck the super-villain with his blade. The sword was psychic energy and though it did no physical damage, the thrust disrupted all of Doctor Inferno’s spells, including the one that sustained his physical form. Orion’s greatest enemy screamed, a terrible agonizing psychic scream that Orion felt in the deepest sections of his mind, echoing over and over. The mental feedback made him scream louder than his nemesis before falling to the floor, no longer held by his mystical bonds, unconscious. Nightstar twisted in the air and landed in a crouch on his feet. Doctor Inferno’s empty tattered robe landed beside him. There was no response. Nightstar was beside him in an instant and put a hand over the man’s heart. He felt a beat. Orion was breathing, and his heart was beating. Nightstar ran a gloved hand through his hair. “Nightstar, step back. I’ll check him,” said Poltergeist. Nightstar’s mentor, the former kid sidekick of the original Citadel was moving again. Poltergeist carefully checked Orion. The freezing spell had broken. “My uniform feels terrible,” shouted Spira. Orion laughed softly. “Nightstar, you just saved the world. I’m not sure what went wrong with Inferno’s spell, but I won’t argue. Good teleporting too,” said Orion with a smile. Behind that smile, the older hero had come to a realization. Nightstar adjusted his shades. “There was no time,” he said flatly. Orion closed his eyes. He didn’t want to say anything. He worried that if Nightstar knew what had truly happened, the young hero might not forgive himself. Orion had made contact with Inferno at the moment of Nightstar’s psychic sword strike. The psychic backlash had quieted Orion’s mind. The thoughts of everyone around him were silent for the first time since his childhood. He wondered if his mind would stay this way. If so, his days as a hero were over. To his surprise, Orion felt a great sense of relief. He sat up with Poltergeist’s help and regarded the young team staring at him in awe. They would protect the innocent from threats like Inferno. It was time to hang up the cape. Three days later, Corey Dandridge parked his car in the driveway of his townhome in Sydney, Australia. He had wanted to live his normal life as far away from the United States as he could, where few super-villains bothered attacking. He had chosen Australia. The media was abuzz with word of Orion’s retirement announcement two days ago in San Francisico at the headquarters of the Citadel of… well, actually, New Citadel, he reminded himself. It would subside soon enough. Maybe he would write a memoir one day. As for now, there was someone he hadn’t seen in far too long. He unlocked the door and went inside. “Li? You’re free! I’m home,” he shouted to his housekeeper. “Dad!” came an excited yell. A blonde-haired twelve-year old girl raced into the room and threw her arms around him. She started crying. Li slipped through the room, taking her pocketbook and the roll of bills that Corey handed her. “Goodbye, Cori, and Mr. Dandridge,” she said. She gave a smile and then left the father and daughter to their reunion. After the door closed, Corinne released her father. She wiped her eyes. With that, she raised her hands in the air. All of the furniture in the room lifted a foot off the floor. In his mind, Corey Dandridge heard his daughter’s voice. An Old Friend Returns – Welcome back to Engage the Enemy! Unfortunately, the free book promotion on Smashwords has ended, but thank you to everyone who picked up one of my books. One of my favorite stories to tell about my forays into fiction regards a submission that I made to Inferno! magazine. It was a tale set in the grim darkness of the far future in Games Workshop’s world of Warhammer 40K, and it featured my favorite chapter of Space Marines, the Space Wolves. Anyway, I formed a partnership with my co-author who would later write with me as Lee Lightner. Here’s the amusing part of the story – my short story was rejected. I had received it back and was basically told that it was unusable. I reached out and contacted the editor and to his immense credit, he took the time to tell me what he didn’t like about it (besides everything). I listened to what he said and asked if I rewrote it and returned it to him the next day if he would at least take the time to read it. He said yes. That evening I typed about as fast as I could and stayed up far too late for my own good as I reworked everything. The next day, it was accepted. Ultimately, it led to my two novels, Sons of Fenris and Wolf’s Honour. Inferno! 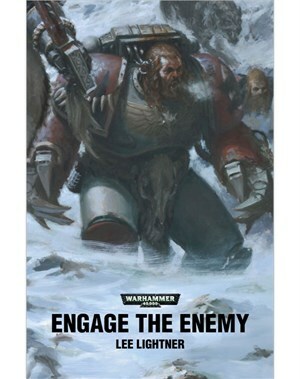 is long gone, but Engage the Enemy was republished this week by my good friends at Black Library. No royalties for me on this one, but I’m utterly pleased to see a story that meant so much to me reappear. Here’s the link.